Tomorrow is Lincoln's 90th anniversary of making large, fluffy cars bearing a myriad of special edition nameplates. 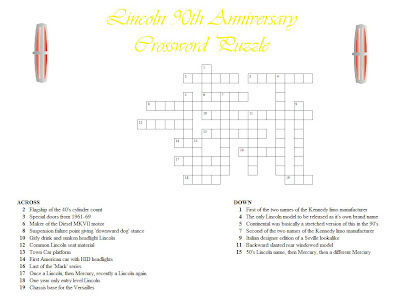 To commemorate this, you should test your Lincoln knowledge with this so-themed crossword puzzle! Solutions to be posted later in the week.